For small business owners, SEO is no less than a boon. With proper SEO approach, you can optimize your website to derive maximum organic traffic through search results. 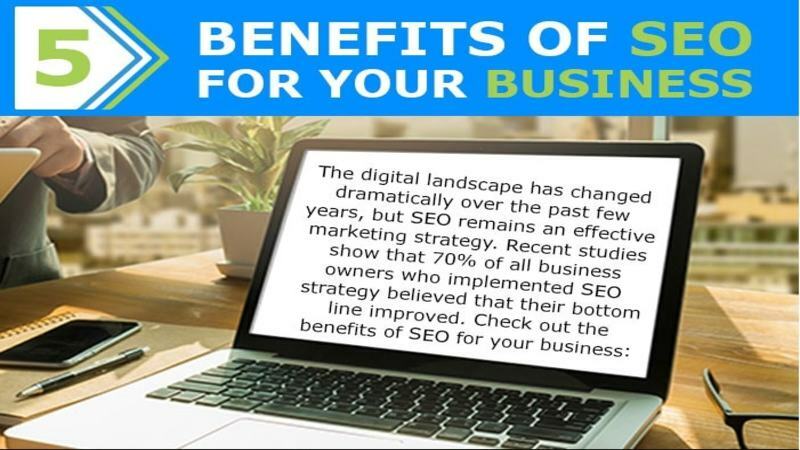 Here’s a quick look at benefits of SEO for your business. SEO enhances website’ s visibility on search engine. Better visibility means more traffic to your business. 90% more clicks when compared to PPC. Clicks lead to conversion, resulting in better ROI. Compete with large businesses without spending fortune. SEO advertisement is cost effective. It lets you reach to customers who are actively looking for your product. Higher rankings on the SERPs creates trust factor among the customers. This in turn builds brand awareness. Please include attribution to vigilantseo with this graphic.